Better troop meetings are a click away. Troop Leader Resources — available at troopleader.org — is a new, BSA-authorized website that helps Scouts and Scouters plan better meetings. With its videos of real Scouts in real troops, the site is a one-stop shop for new and experienced troop leaders. The Troop Meeting Agenda page breaks down each segment of the troop meeting plan with 11 short sample videos from actual troop meetings. There’s also a fillable troop meeting planning sheet, if the Patrol Leaders’ Council chooses to fill out meeting plans online. Program Features is the site’s biggest section, presenting each of the 48 program features with explanatory information, ideas for troop meetings and ideas for monthly main events. Each page has its own navigation bar linking to corresponding program feature subsections. The Program Resources page contains Scout meeting activities, campcraft skill videos, troop ceremony ideas and a collection of Scoutmaster’s minutes. The Planning page covers the annual and monthly planning process, including an illustrative video of an actual Patrol Leaders’ Council in action. The Training page covers both adult and youth training. The Outings page is a gateway of general information about camping equipment, troop site setup and camping trip activities. The General Troop Information page has topics relevant to running a troop. 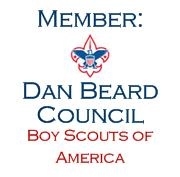 Each has its own page, covering topics like troop positions, the patrol, boards of review, courts of honor, fundraisers and the Scoutmaster conference.